Restorative Processes bring those harmed by crime or conflict and those responsible for the harm into communication, enabling everyone affected by a particular incident to play a part in repairing the harm and finding a positive way forward. These are an alternative approach to justice that focuses on restitution and the needs of both victims and offenders and satisfying legal principles. Indeed, a system based on restorative justice principles heavily relies on conflict resolution through telling the truth, acknowledging responsibility, and creating accountability. 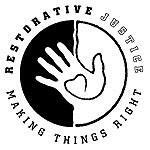 Restorative Justice is a framework for justice reform which seeks to engage citizens and community groups as both clients of justice services and as resources in a more effective response to crime and conflict. Communities expect justice systems to improve public safety, sanction crime, and rehabilitate and reintegrate offenders. RJ emphasizes one fundamental fact: crime damages people, communities, and relationships. If a crime is about harm, a justice process should therefore emphasize repairing the harm. RJ builds on traditional positive community values and on some of the most effective sanctioning practices including: Victim Offender Mediation, Family Group Conferencing and Peace Circles. RJ asks three questions: What is the nature of the harm resulting from the event? What needs to be done to “make it right” or repair the harm? Who is responsible for this repair? The fundamental hypothesis of restorative practices is disarmingly simple: that human beings are happier, more cooperative and productive, and more likely to make changes in their behavior when those in positions of authority do things with them, rather than to them or for them. These videos have been previewed by Piedmont Mediation Center, Inc. and are among the best available to introduce Restorative Justice to a community. Please select the video that is most appropriate for your profession or level of involvement with Piedmont Mediation Center (or watch them all!). Research has found that RJ programs provide higher levels of satisfaction with the process and outcome and a greater likelihood of successful restitution completion by the offender than traditional justice programs. Research has also shown that RJ programs have reduced fear among victims and decreased the frequency and severity of further criminal behavior among offenders. "The evidence clearly suggests that RJ is a promsing strategy for addressing many of the current problems of the criminal justice system. More important, it is a strategy that has been subjected to rigorous testing. RJ does not undermine the rule of law." "At every rung on the ladder of interventions (school staff, school administration, SRO/police, Juvenile Justice, court) RJ has a way of prevening higher up casework; handling cases earlier rather than later results in significant case-load relief to governmental agencies. It lowers crime and recidivism rates, reduces higher level interventions, there is cost savings, and reintegrates youth offenders into the community." "Conferences reduce the psychologically traumatic effects of crime." "We recommend the Government develop guidelines on how to ensure school discipline policies and practices are in compliance with international human rights standards. PBIS and Restorative Practices in school discipline should be used for reducing disciplinary incidents and improving learning in schools." "Overwhelming, evidence proves that reliance on punishment and incarceration, rather than restorative justice and rehabilitation, is harmful to young people and is associated with increased rates of re-offending, strained family relationships, lower educational and vocational attainment, and incarceration later in life. We are committed to partnering with the broader community to promote restorative justice." "RJ keeps kids in schools and lets you continually challenge their behavior. Exclusion just makes things look less visible, as if the problem's gone away until such time that a crime has been reported." National laws, policies and practices should facilitate RJ responses wherever possible and appropriate." "RJ also provides students with meaningful opportunities to be accountable for their actions and responsible for helping to make their school a safe and nurturing place. Students are taught basic social skills to problem solve and de-escalate conflict, thereby contributing to healthier school climates." "RJ helps educators, juvenile justice professionals, and community members collectively and collaboratively reengage youth in school and keep them off the street and out of the juvenile justice system." "RJ attempts to draw upon the strengths of both offenders and victims, rather than focusing upon their deficits." "A contrasting philosophy involves attempts to bring about behavior change by facilitating personal development through improved skills, relationships, insight, and the like. This therapeutic philosophy includes: restorative (e.g., victim-offender mediation)"
"A wider circle of people is recognized as being victimized by the offense." "Incorporate positive behavioral interventions and utilize Restorative Justice practices." "Mediation can address problems that obstruct students' paths to obtaining an education, and resolve dilemmas which normally go undetected and become causes of more tragic outcomes."